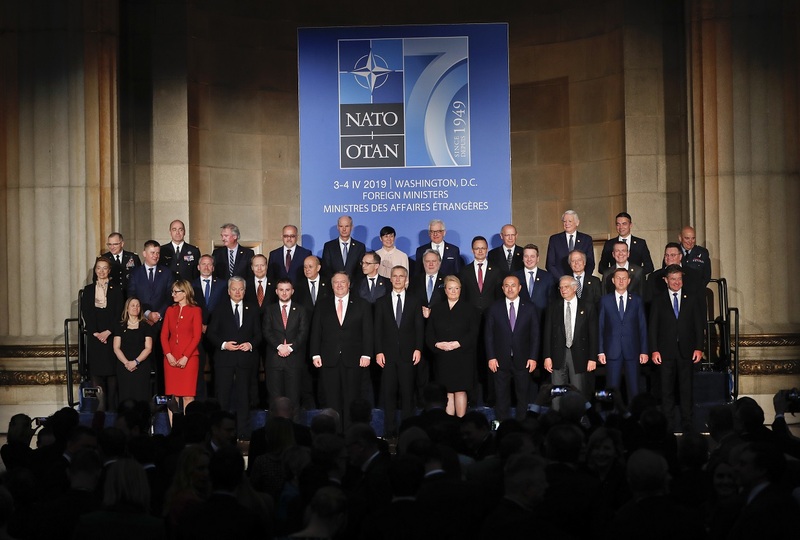 WASHINGTON – US State Secretary Michael Pompeo addressed at the reception to celebrate NATO’s 70th Anniversary, at Andrew W. Mellon Auditorium, in Washington, the same room where the Foreign Ministers of the 12 founding Allies met to sign the North Atlantic Treaty on 4 April 1949. NATO Foreign Ministers gathered in Washington to attend the reception on the occasion of the 70th anniversary of the establishment of the North Atlantic Treaty Organization. Pompeo acknowledged Secretary General Stoltenberg for all that he has done to strengthen this “amazing, important” NATO Alliance. Among NATO’s accomplishments, Pompeo mentioned the Partnership for Peace, and that more nations were welcomed as members of this “critical” Alliance. “NATO confronted ethnic conflict in the Balkans”, underlined Pompeo, adding that the world is changing. “We are changing along with it. And as we look together at the world less predictable, we continue to hold each other’s hands, investing in our future, defence, Alliance’s modernization, responding to treats in the cyber place”, concluded Pompeo. Pompeo expressed his satisfaction that the document for ratification of the Protocol for membership of the Republic of Northern Macedonia to NATO was submitted to the US Senate last week. 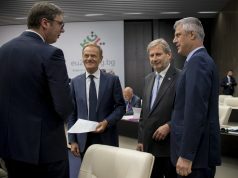 Before the ceremony, the Centre of European Policy Analysis organized a ministerial forum. Minister of Foreign Affairs of Montenegro Srđan Darmanović pointed to the importance of addressing the contemporary internal and external challenges facing the Alliance, stressing that the current dynamics of relations in the international community confirms that Allies face new threats to security and internal cohesion. 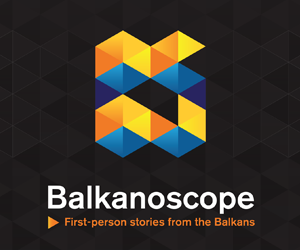 “In order to respond in a timely and comprehensive manner to security challenges, the Alliance needs to preserve the transatlantic dialogue and solidarity between the Allies,” Minister Darmanović said, adding that the geopolitical ambitions of certain actors point to the need for increased interest of the Alliance in Eastern and Southern Europe. Furthermore, he said that NATO is not only a military alliance but also an alliance of values, which is an indispensable mechanism in providing security in the Western Balkans. Minister of Foreign Affairs of North Macedonia Nikola Dimitrov was in Washington as well, where he held a direct meeting with the State Secretary Pompeo and attended the event “NATO Engages: The Alliance at 70”. Albanian Minister for Europe and Foreign Affairs Gent Cakaj was in Washington where he met the Speaker of the US House of Representatives Nancy Pelosi. In this meeting, they shared their common stance to the strengthening of the Atlantic Alliance, with the fact being underlined that, as well as bringing security and stability, such Alliance has facilitated creation of conditions conducive to the sustainable economic development and the strengthening of the political and cultural exchanges. 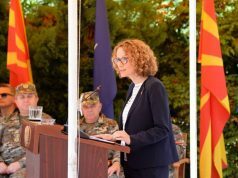 “Albania has always appreciated the strategic partnership with the United States, with this partnership being one of the key elements in Albania’s foreign policy and commitment to our region”, acting Minister Cakaj underlined. 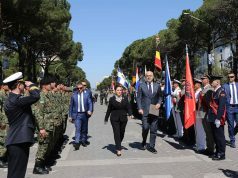 The Speaker of the US House of Representatives Pelosi said that the USA without reserve offered support to Albania on its path towards its full membership in NATO 10 years ago, and it will continue to do so also with regard to Albania’s aspiration to join the European Union. Next articleWhat will regional roaming agreement bring?